July 4th is all about the grill. While most people celebrate America's independence by grilling hot dogs, hamburgers, and ribs, there is still a portion of the population that prefers vegetables over meat. While you can purchase a pack of tofu dogs or Garden burgers, tantalize the taste buds of your vegetarian friends and family with some amazing grilled vegetable dishes instead. These recipes are so delicious that carnivores will enjoy them too. Asparagus take less than two minutes to cook on the grill. These asparagus and quinoa spring rolls are the perfect vegetarian appetizer that come together fast. Rice paper can be purchased at your local Asian market or Asian aisle at the grocery store. The beauty of this recipe is in its simplicity. An array of seasonal summer vegetables are coated in basil infused olive oil and seasoned with salt and pepper. This is a great dish to use up any veggies that are hanging out in the fridge. Vegetable kebabs are usually underrated and under seasoned. These tandoori vegetable kebabs prove that grilled vegetables can be dynamite on their own without the help from meat. 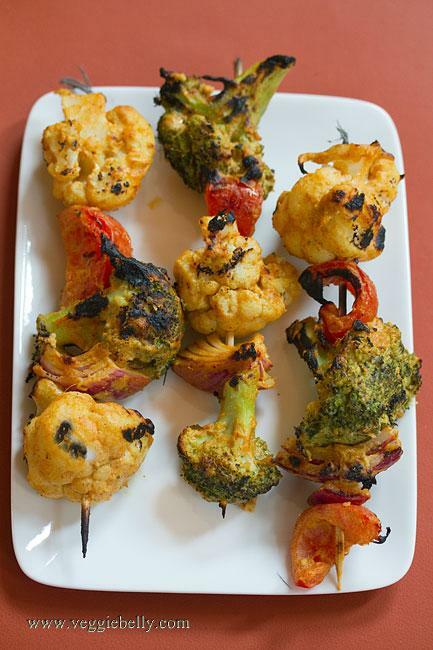 Broccoli, cauliflower, red bell pepper and red onion are soaked in a curry yogurt marinade before hitting the grill. Even though most slaw recipes are vegetarian, it's good to change things up and try something new. 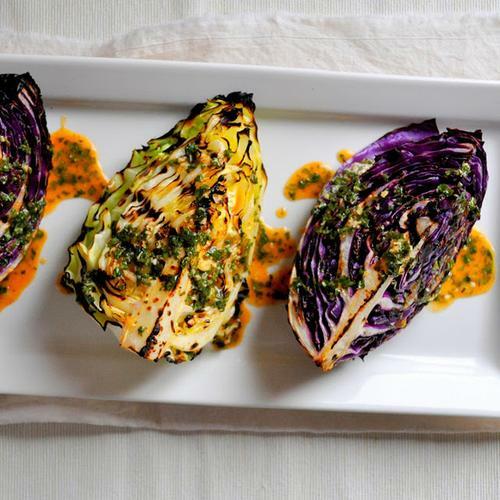 Cabbage is a sturdy brassica that takes well to the grill. The zesty lime dressing pairs well with the sweet cabbage and smokiness from the grill. This warm potato salad is a lighter version of the classic barbecue side dish. 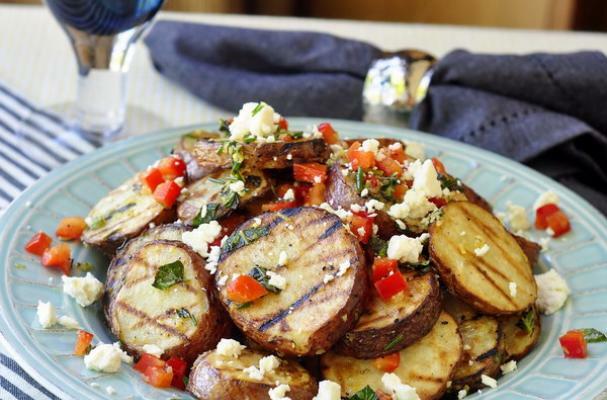 Grilled red potatoes are combined with feta cheese and roasted red pepper before they are tossed in a lemon oregano vinaigrette. I would serve this potato salad hot or at room temperature.